Html Content The film backing also generates a uniform and consistent finish. With 3M&trade; Stikit&trade; pressure sensitive adhesive backing, this disc is easy to attach to a backup pad (sold separately), and easy to remove, while the tab makes it easy to separate the disc from its liner. The versatile 3M&trade; Stikit&trade; Film Disc 375L is suitable for a variety of applications. When the goal is a superior wood finish, the Stikit&trade; Film Disc in medium grades conforms well to the contours and rounded edges of challenging work surfaces to deliver a superior finish. Woodworking applications are further enhanced by a load-resistant coating and open coat construction, which reduce clogging and extend the life of the abrasive. 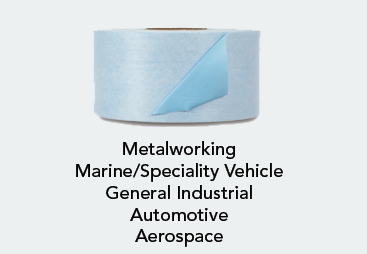 For pre- and post-paint finishing, versatility is key, and the 375L film disc in fine grades is designed to deliver a superb uniform finish on plastics and clear coat technologies commonly used in the transportation industry. 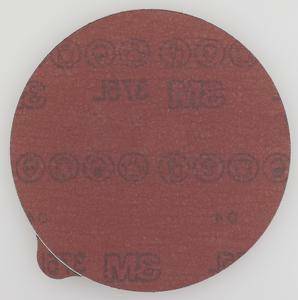 The 3M&trade; Stikit&trade; Film Disc 375L is designed for use with a random orbital sander and our 3M&trade; Stikit&trade; backup pad (sold separately). It comes in a range of grades for various applications from rough sanding to very fine finishing. 3M&trade; Stikit&trade; discs, with a pressure sensitive adhesive coating on the backside, are ready for you to use. Attaching them to your 3M&trade; Stikit&trade; disc pad is as simple as pressing on a sticker. And because the adhesive is pressure sensitive, the disc can be peeled off of the disc pad just as easily, leaving a clean surface for your next disc. 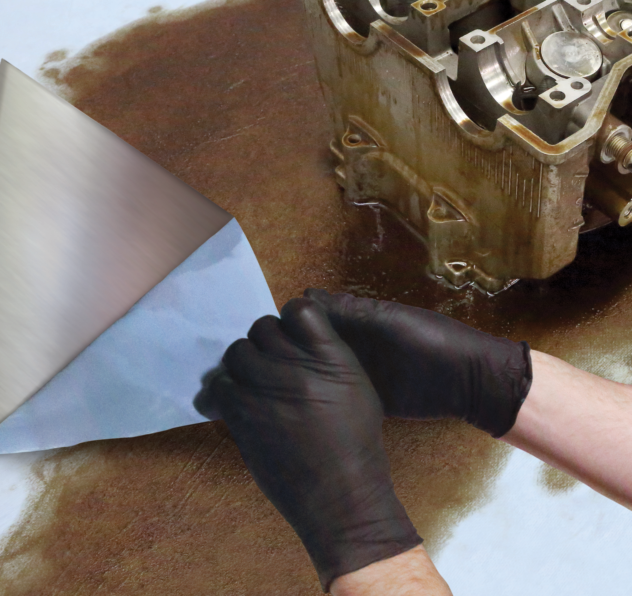 A convenient liner prevents the adhesive from becoming dirty and keeps the backing sticky until applied. Film-backed discs have excellent tear-resistant properties and provide a very uniform finish and consistent results with each use. This makes them an excellent option when working on paint, e-coats, primers, gel coats, glass, acrylics and solid surface material, wood topcoats and anywhere else you need the perfect finish every time. Aluminum oxide is a popular choice among industrial professionals because of its fast cut-rate and long life. This mineral makes a tough, durable abrasive that self-fractures to expose fresh cutting edges, whereas traditional natural abrasives dull more quickly. Due to its fast cut-rate, hardness, and strength, it is widely used in grinding applications in addition to sanding and finishing applications. Aluminum oxide is suitable for a wide variety of materials in both woodworking and metalworking, including ferrous alloys. Marketplace Extended Descriptions Manufacturer S Voice Non Html 1 The film backing also generates a uniform and consistent finish. With 3M&trade; Stikit&trade; pressure sensitive adhesive backing, this disc is easy to attach to a backup pad (sold separately), and easy to remove, while the tab makes it easy to separate the disc from its liner. Our versatile 3M&trade; Stikit&trade; Film Disc 375L is suitable for a variety of applications. When the goal is a superior wood finish, the Stikit&trade; Film Disc in medium grades conforms well to the contours and rounded edges of challenging work surfaces to deliver a superior finish. Woodworking applications are further enhanced by a load-resistant coating and open coat construction, which reduce clogging and extend the life of the abrasive. For pre- and post-paint finishing, versatility is key, and the 375L film disc in fine grades is designed to deliver a superb uniform finish on plastics and clear coat technologies commonly used in the transportation industry. The 3M&trade; Stikit&trade; Film Disc 375L is designed for use with a random orbital sander and our 3M&trade; Stikit&trade; backup pad (sold separately). It comes in a range of grades for various applications from rough sanding to very fine finishing. 3M&trade; Stikit&trade; discs, with a pressure sensitive adhesive coating on the backside, are ready for you to use. Attaching them to your 3M&trade; Stikit&trade; disc pad is as simple as pressing on a sticker. And because the adhesive is pressure sensitive, the disc can be peeled off of the disc pad just as easily, leaving a clean surface for your next disc. A convenient liner prevents the adhesive from becoming dirty and keeps the backing sticky until applied. Film-backed discs have excellent tear-resistant properties and provide a very uniform finish and consistent results with each use. This makes them an excellent option when working on paint, e-coats, primers, gel coats, glass, acrylics and solid surface material, wood topcoats and anywhere else you need the perfect finish every time. Aluminum oxide is a popular choice among industrial professionals because of its fast cut-rate and long life. This mineral makes a tough, durable abrasive that self-fractures to expose fresh cutting edges, whereas traditional natural abrasives dull more quickly. Due to its fast cut-rate, hardness, and strength, it is widely used in grinding applications in addition to sanding and finishing applications. Aluminum oxide is suitable for a wide variety of materials in both woodworking and metalworking, including ferrous alloys. Marketplace Extended Descriptions Manufacturer S Voice Non Html 2 The film backing also generates a uniform and consistent finish. With 3M&trade; Stikit&trade; pressure sensitive adhesive backing, this disc is easy to attach to a backup pad (sold separately), and easy to remove, while the tab makes it easy to separate the disc from its liner. Our versatile 3M&trade; Stikit&trade; Film Disc 375L is suitable for a variety of applications. When the goal is a superior wood finish, the Stikit&trade; Film Disc in medium grades conforms well to the contours and rounded edges of challenging work surfaces to deliver a superior finish. Woodworking applications are further enhanced by a load-resistant coating and open coat construction, which reduce clogging and extend the life of the abrasive. For pre- and post-paint finishing, versatility is key, and the 375L film disc in fine grades is designed to deliver a superb uniform finish on plastics and clear coat technologies commonly used in the transportation industry. The 3M&trade; Stikit&trade; Film Disc 375L is designed for use with a random orbital sander and our 3M&trade; Stikit&trade; backup pad (sold separately). It comes in a range of grades for various applications from rough sanding to very fine finishing. 3M&trade; Stikit&trade; discs, with a pressure sensitive adhesive coating on the backside, are ready for you to use. Attaching them to your 3M&trade; Stikit&trade; disc pad is as simple as pressing on a sticker. And because the adhesive is pressure sensitive, the disc can be peeled off of the disc pad just as easily, leaving a clean surface for your next disc. A convenient liner prevents the adhesive from becoming dirty and keeps the backing sticky until applied. Film-backed discs have excellent tear-resistant properties and provide a very uniform finish and consistent results with each use. This makes them an excellent option when working on paint, e-coats, primers, gel coats, glass, acrylics and solid surface material, wood topcoats and anywhere else you need the perfect finish every time. Aluminum oxide is a popular choice among industrial professionals because of its fast cut-rate and long life. This mineral makes a tough, durable abrasive that self-fractures to expose fresh cutting edges, whereas traditional natural abrasives dull more quickly. Due to its fast cut-rate, hardness, and strength, it is widely used in grinding applications in addition to sanding and finishing applications. Aluminum oxide is suitable for a wide variety of materials in both woodworking and metalworking, including ferrous alloys.